ABRAU-DURSO, RUSSIA - AUGUST 07, 2016: Monkey with champagne fountain, Abrau-Durso, Russia. Prince Golitsyn monkey entertained guests that opened a bottle of champagne. 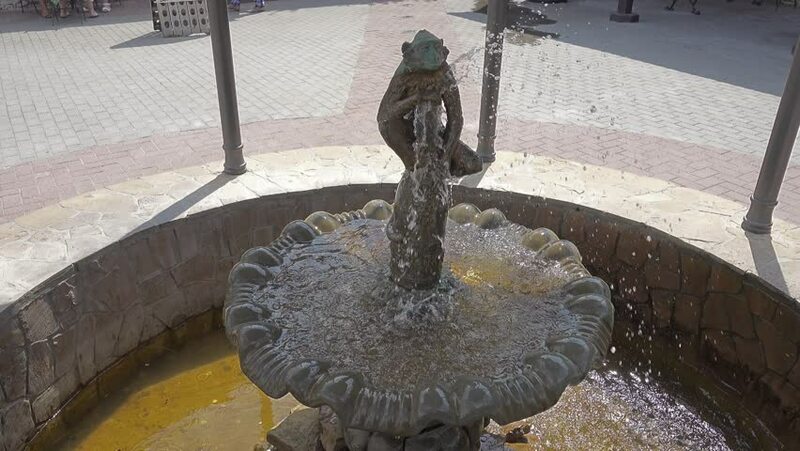 This point shows the fountain. 4k00:20Barcelona / Catalonia / Spain - February 22, 2019: View at Guell Park of Hypostyle Hall, also known as the Room of a Hundred Columns, in Barcelona, Spain The mosaic ceiling. hd00:29Extraction of water from the well using a bucket.